We hope you all are having a wonderful year so far! A lot has been going on at Pinnacle and we are thrilled to be sending you all our second newsletter. We hope you find it helpful. Training Services. What's in it for you? At Pinnacle, we are constantly striving to provide additional resources to our clients. Our training team has years of experience designing, developing, and delivering training using several different delivery methods. We value your feedback and would like to know what training resources are important to you and your organization. Take the following survey to let us know how we can better meet your needs. Announcing our first webinar: How to Explain Opt-In to your Accountholders. Mark your calendars for Wednesday, April 4, 2018 from 10:00 am to 10:30 am CDT. We are launching a free webinar series designed to keep our current clients up-to-date and engaged with their overdraft program. This first 30 minute webinar is called "How to Explain Opt-In to your Accountholders". This webinar is open to any of your employees who could use a refresher on explaining this key component of overdraft privilege. We realize that every financial institution has different security settings to their firewall, so you may want to verify that you are able to access this link with your technology department. We hope you're able to join us. Check out our website at www.pinnaclefinancialstrategies.com to learn more about the products and services Pinnacle has to offer. We are really excited about the new landing page for our Training Programs in addition to ODP! Not only are we developing incredible new resources for our clients, we are working hard to improve what we have. We would love to come out and retrain your employees with some new and engaging activities! Contact a member of the training team to learn more about onsite refresher training, eLearning, or one of our other training programs for your financial institution. We value the opportunity to expand our partnership with you! 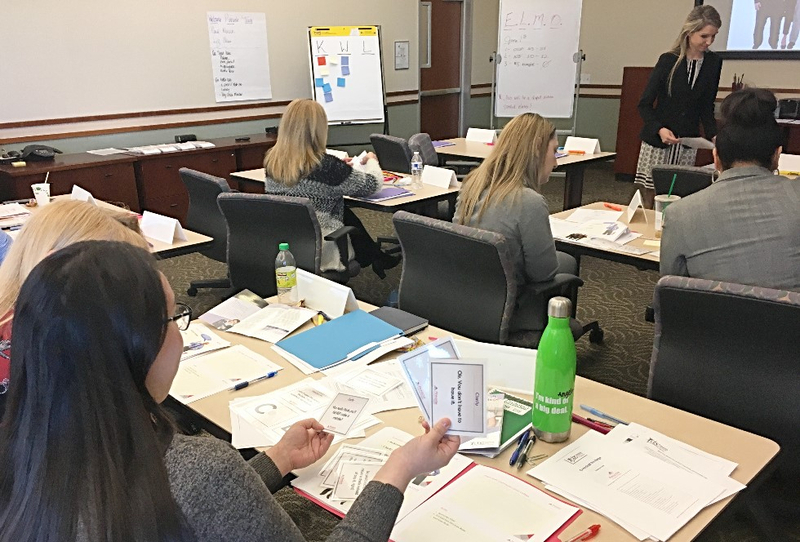 Our newest training program is Service to Sales Training. This program is designed to provide frontline employees with tools that will improve your accountholders' service experience. 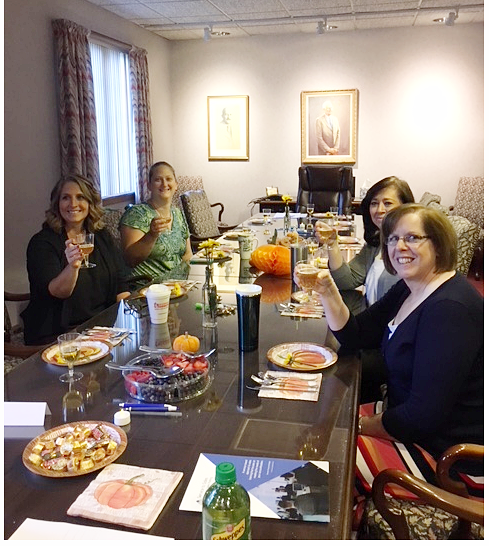 Above are the branch managers at a bank in Champlain, NY, enjoying a delicious and festive breakfast before a day of training on sales and coaching skills. "Just wanted to let you know I met with my branch staff today. My employee is already putting the skills to use. She killed it today…. A new person to our community came in to open a money market and my employee ended up setting her up with a checking and savings for a grand total of $55,000.00! She also planted some seeds about a mortgage loan and 'it might be convenient to have all of your money in one place'. My employee and I reviewed three possible follow-up call topics. She also had a cash advance client that she asked, 'where do you do your banking?'. The woman responded 'Nowhere' and was inclined to think about opening one with us. All three of my employees seemed very receptive about having three conversations per day with clients to get the ball rolling here." Download our Service to Sales brochure here if you would like to learn more. Send us an email at training@pinnstrat.com or give us a call at 866-737-1235. We would love to discuss training with you! Thanks for your continued feedback and support.